Now that's one photograph I would like to see replicated over and over again. In countries all over the world on OP's, in the UK on exercise, in Ireland on exercise, get the hell out of the EU BG ,,,,,,,,,,,,,,,,,,,,,,,,,,,,, and lets start working with our nearest and dearest. ,,,,,,,,,,,,,,,,,,,,,,,,, long may it last and form the basis for a more productive relationship. Is it bad form to quote oneself? Doing a bit of reminiscing and found the above. I dont think thats completely correct... how many have gone through cadets? been here on UN mission related training? etc? source? did we not train soldiers from africa at one stage? and i mean more than 12 in one go, in the curragh as cadets? Last edited by morpheus; 24th April 2015 at 09:16. We had a French platoon on exercise back in 98. Err, please explain this or withdraw it? Last edited by TangoSierra; 28th November 2015 at 23:38. EUTM-MALI HQ has been attacked. No EUTM-Mali personnel has been hurt or injured during the attack. EUTM-Mali is at the securing the area. 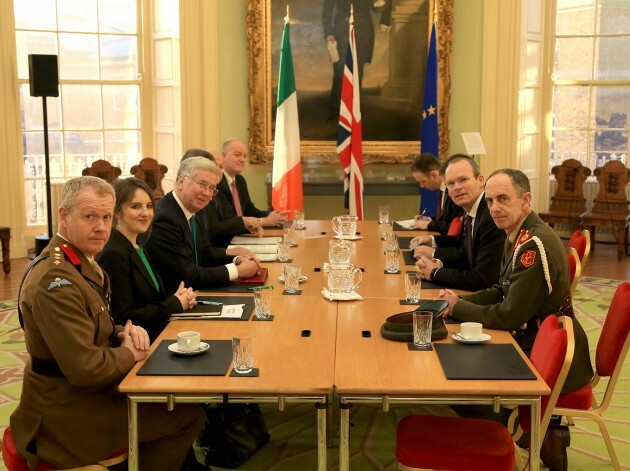 Could the 12 foreign troops post be a confusion with the fact that any overseas deployment of more than 12 Irish troops is subject to dail approval? A proposal to send the Army Ranger Wing (ARW) to Mali on peacekeeping duties is being actively considered by the Government, RTÃ‰ News has learned. While no final political decision has been made, the proposal to deploy the special forces unit to the West African country would be favourably viewed, two sources told RTÃ‰. The ARW has not been deployed overseas on an active mission for a decade. Visiting the 20 Irish members of the Defence Forces who are training the Malian army, Taoiseach Leo Varadkar was asked if Ireland planned to increase its presence on the EU Training Mission (EUTM). He said: "We have been here in Mali as part of the EU training mission for five years now. Given the impact the region has on the rest of the world in terms of migration and being a source of terrorism in some cases, in terms of climate change, there will be an Irish presence in Africa for quite a period to come. "Itâ€™s not just the peacekeeping and Irish aid. Itâ€™s the embassies. We are upgrading the embassy in Monrovia nearer to full embassy status. "We are increasing the aid budget across Africa including in Ethiopia where I will be quite soon. We have made no decisions on future missions and it is under consideration." Also speaking to RTÃ‰ News in Mali, the Defence Forces Chief of Staff Vice Admiral Mark Mellett said: "It is ten years since the ARW deployed overseas in an active mission. Obviously they provide protection for vital missions like this but almost on an ad hoc basis. "I think there are opportunities there, but once again it will be a political decision and a decision for Government." Time to upgrade their veciles though. 15 year old Ford F350s just won't cut it any more.